CLEMSON, SC – Sophomore middle distance specialist Aaron Ramirez took control early of the men’s 5K and cruised to victory on Friday at the season-opening Clemson Invitational on the Tigers’ on-campus cross country course. Ramirez propelled the Tigers to a team win, while Natalie Anthony and Kate Borowicz finished 2-3 for the victorious Clemson women. The meet was held on campus for the first time in years. The first mile of the race spanned the length of the Lake Hartwell dike and back, before the runners dashed into the woods behind the golf and rowing facilities through trails. After a loop around the intramural rugby field, the runners returned up the hill through the trails, before finishing downhill on the golf practice range. Ramirez, a sophomore out of Greenville, SC, proved to be in good form early in the season. A 1500-meter runner by trade, he had a sizeable lead after the first mile and never looked back en route to a winning 5K time of 15:33. It was Ramirez’s first individual win in cross country as a Tiger. “I’ve done a lot more volume training this year, and that showed today,” Ramirez said. “One of the best athletes you can be is one with range. I believe I’m starting to work on the latter part of that, with regard to my distance training. I look forward to what cross country will bring this fall.” Along with sophomore Tim Tyler and graduate Martin Maloney, a pair of first-year freshmen finished among the top five on Friday. Tyler clocked a time of 16:05 in a runner-up showing, while Maloney charged over the final downhill stretch to come in fourth at 16:07. He edged Dutch Fork High School product Roland Hakes at the line, who finished a second ahead of another first-year performer, Jack Andritsch of Indiana. In the women’s 5K, Borowicz and Anthony ran together the entire race and brought home second- and third-place finishes respectively. Borowicz crossed the line in 18:43, followed by Anthony in 18:44. The two actually ran the course in training shoes, as opposed to the traditional racing spikes. “It was a challenging course,” Anthony said. “You lose your momentum on the first hill because it’s so steep. But, overall it was pretty fair. 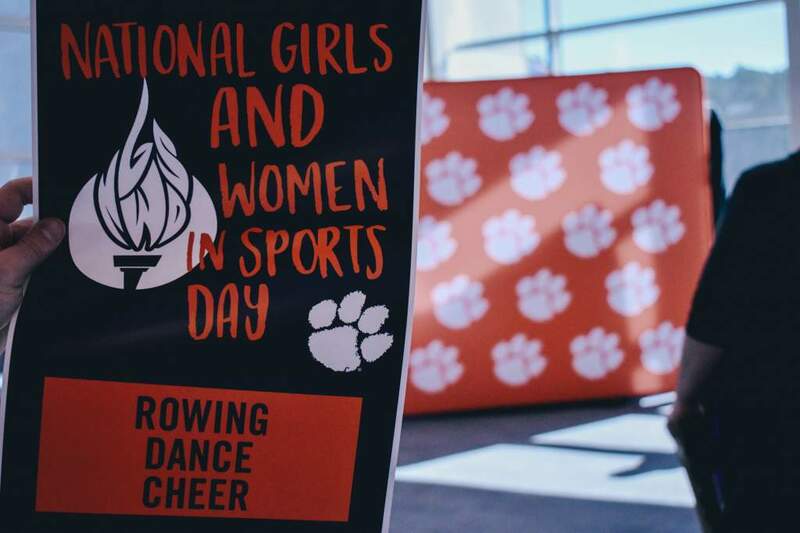 It was a good first competition for us.” Erin Barker, new to the Clemson roster this season after graduating from nearby Furman University, took fourth place individually. The Easley, SC native posted a time of 18:50 and had the fastest final mile split of any of the competitors in the race. The final two scorers at the opening meet were Alyssa Henshaw in sixth (19:10) and Brianna Blanton in seventh (19:10). The teams return to action on Friday, Sept. 21 in Santa Clarita, CA at the Los Angeles Invitational.